Buying a car is a big financial decision. Next to buying a house, it's probably the biggest financial decision you'll ever make. Because of that, there's no reason to spend any more than you have to. 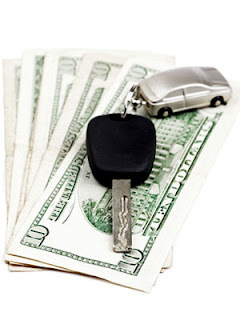 One of the best and easiest ways to save money when you buy a car is to find the best financing. Loan rates on cars can vary greatly, and if you have a loan period of four, five or even six years, an extra percentage point of interest could mean you pay hundreds of dollars more than you need to. To find the best rates, you need to shop around. Check with your bank and local credit unions. You can also go to an online comparison site to find low finance rates. And don't count out the dealership. Though financing rates offered at used-car dealerships are notoriously high, new-car dealerships often have low- and no-interest finance deals that can save you hundreds and even thousands of dollars. Of course, you could just pay cash, which will save you on finance charges altogether. If you've got the financial discipline and patience to save up enough money to buy a car with cash, then you should do so. Another way to save money when purchasing a car is to shop around. This is especially important when looking for used cars, because prices can vary significantly from dealership to dealership, but it also pays to shop around when looking for a new car, too. You would think the same model of new car with the same options would cost the same from dealership to dealership. But larger dealerships that do volume business can often offer lower prices on certain models. The tried-and-true way to save money when you buy a new car is to negotiate. Remember that sticker price is often inflated and dealers expect to have to negotiate. Used-car dealers often have more room to negotiate than new-car dealers do, but you should hold out for your best deal and be willing to walk away. If you can't negotiate on price, you might also try to get some extras thrown in, such as additional options on a new car or an extended warranty on a new car. One final way to save money when you are buying a car is to settle for a lesser model or buy a used car instead of a new car.